Roanoke Family Law Attorney | Law Office of Seth C. Weston. We have more than fifteen years of Family Law experience in the Roanoke community: The Law Office of Seth C. Weston is where families throughout Virginia turn for help with matters of family law. Every client receives personal attention: Attorney Seth C. Weston will personally answer your questions, address your concerns, and bring your matter of family law to its best possible resolution. We work around your schedule: Call our law firm at (540) 342-5608 to speak with us regarding your case. Consultations are by appointment. After-office hours and weekend appointments are available. 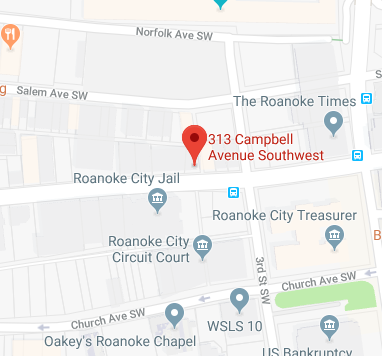 With more than fifteen years of service to the Roanoke community, the legal team at the Law Office of Seth C. Weston represents clients in cases involving family law and other legal concerns. We handle matters of family law with professionalism and compassion, providing reliable legal representation and personal, hands-on guidance from the start of the legal process until the final resolution of your case. Nothing is more important than our families, and few things in life are more difficult than a family’s breakup or a married couple’s divorce. Our aim is to help our clients resolve their conflicts in a peaceful, positive, and constructive manner. We are dedicated to the law. Nothing is more important to us than safeguarding your legal rights and making certain that your case concludes with a favorable resolution. Why Should You Choose the Honest and Aggressive Team at the Law Office of Seth C. Weston? When a family matter becomes a legal dispute, it will probably affect your family for years to come. Family law in Virginia can be complicated and confusing. Attorney Seth C. Weston can represent you in a divorce or any other matter of family law. In a divorce proceeding, the issues in dispute may include child custody, support, and visitation; alimony (also called “spousal support”); and the division of the couple’s properties and assets. A good divorce lawyer will help you and your spouse reach agreements on these matters, but if no agreements with your spouse are possible, our lawyers will ensure that the court resolves the disputes fairly and that you receive what is rightly yours. We also help couples who are about to marry prepare prenuptial agreements prior to their marriages, and we help married couples prepare postnuptial agreements. What Are the Requirements for a Divorce in Virginia? Virginia has established several requirements for divorcing in this state including a residency requirement. At least one spouse must live in Virginia for six months before either spouse may file for divorce. To obtain a no-fault divorce in Virginia, you and your spouse must live separate from one another for at least one full year – unless you do not have minor children and both partners agree to a legal separation, which reduces the one-year requirement to six months. Is Divorce the Only Way to End a Marriage in Virginia? As a rule of thumb, a no-fault divorce is less complicated legally, but in some cases, the proof of fault may affect the division of property and assets or the alimony award. Moreover, divorce may not always be the right option for partners who are dissolving a marriage. Legal separation is another option, and certain marriages may also qualify for an annulment. It’s best to discuss frankly all of your options – fault divorce, no-fault-divorce, and alternatives to divorce – with your family law attorney, and then thoughtfully consider your attorney’s recommendations before you take any formal legal action or file divorce papers. How Are Child Custody Disputes Resolved in Virginia? When a family court in Virginia determines which parent will be awarded the physical custody and/or legal custody of a couple’s child or children, that court’s highest priority will always be the best interests of the child or children. A number of factors may be taken into account by the court in a child custody dispute, including the age, health, economic condition, and location of each parent – and any other factor that the court believes may affect the best interests of the child or children. If you have to fight for the custody of your child or children, you must be represented by a skilled Roanoke family law attorney who knows what the court requires and knows what it takes to prevail on your behalf. When a custody decision or a child support agreement must be modified or amended, you must request from the court a modification of the court order, and you’ll need help from the Law Office of Seth C. Weston. Make the call as soon as you know that you need legal assistance. Do You Really Need a Top-rated Attorney’s Help With a Family Dispute? A family law case may be the most personal and difficult legal matter you will ever face. Fifteen years of practicing family law have given us the legal skills and experience that our clients and their families in the Roanoke area deserve and need. At the Law Office of Seth C. Weston, we fully appreciate the deeply emotional and intimate nature of most matters of family law. We are completely dedicated to providing every family law client with personal attention and dedicated, aggressive legal representation. The stakes in a family law case can be the very highest stakes. Your future and your family’s future could be determined by the outcome. Let Attorney Seth C. Weston help. When you become our client, your priorities become our priorities. Contact Our Award-Winning Roanoke Family Law Firm Today! We will answer all of your legal questions, address all of your concerns, and keep the lines of communication open with you from the start of the legal process until your case is resolved. Call the Law Office of Seth C. Weston – (540) 342-5608 – at once to speak with us about your case.